I want to see if you notice a trend in something I did last Saturday. I didn't even notice that I was doing this before-during-after Elevate, but the common thread rang true. Do you see it like I do? Early Saturday morning when I turned on the car, this song came blazing out of the speakers. That part wasn't weird (I sometimes leave songs on so that I can encourage myself), but what was freaky was that it was on repeat. Set to repeat without knowing it. I wore my ~Brave Enough~ ring. Which again isn't odd since I wear it everyday, but I snapped a pic of it before I drove off to Elevate. I have a feeling I was trying to remind myself to be just that. This photo is the bracelet I'm saving up for on the arm of its creator. Ms. Lisa Leonard - who posed for me to take this pic without batting an eye...like it was the most normal request. She was...ohgoodness...more on her later. 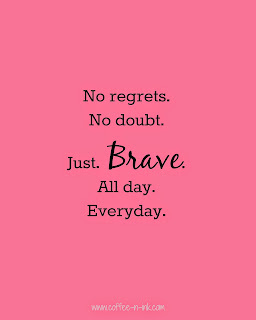 ...be brave. No regrets. No doubt. Just. BRAVE. Repin this by clicking here! Gosh I love this. 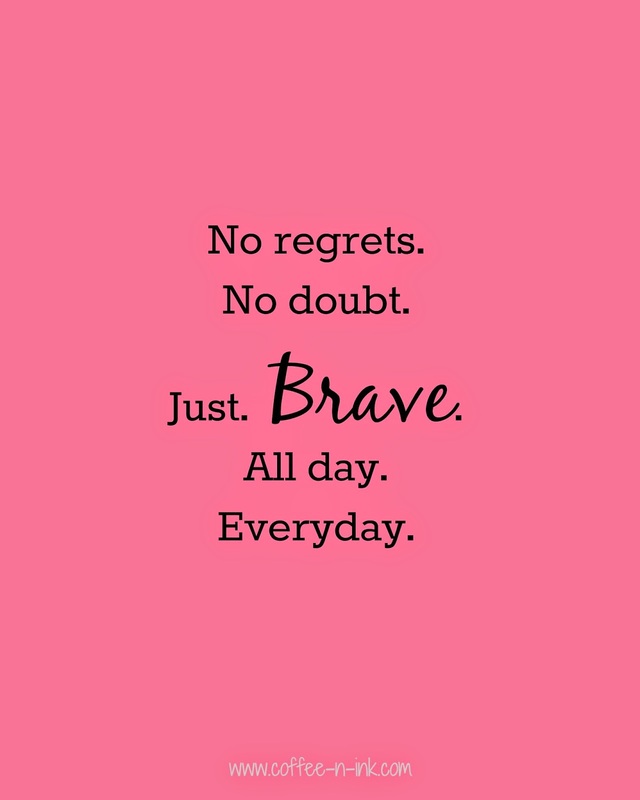 "be brave" is my life motto. SOOOOO glad to have finally met you. You are ONE OF A KIND Nay. And, i think we should be neighbors.